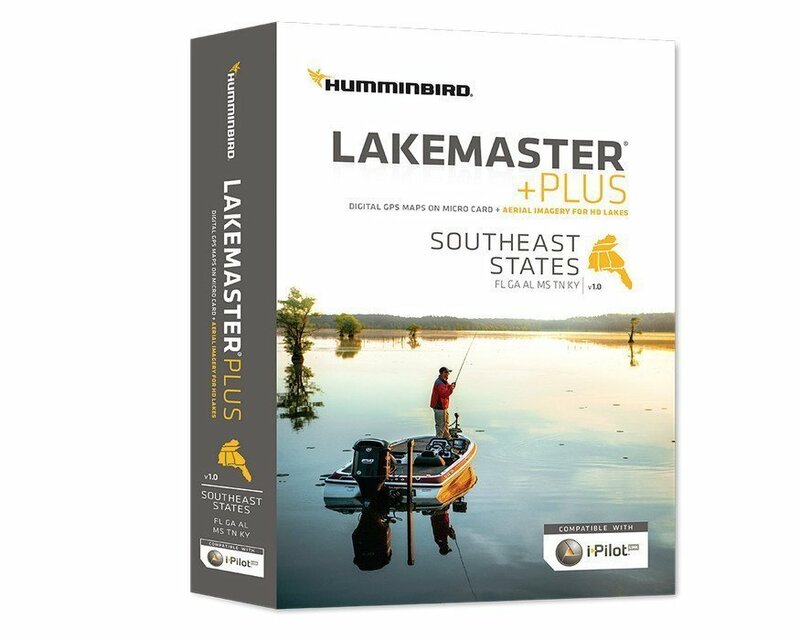 Lakemaster SD map cards have been around for many years now, and focused mostly on the Midwestern states. 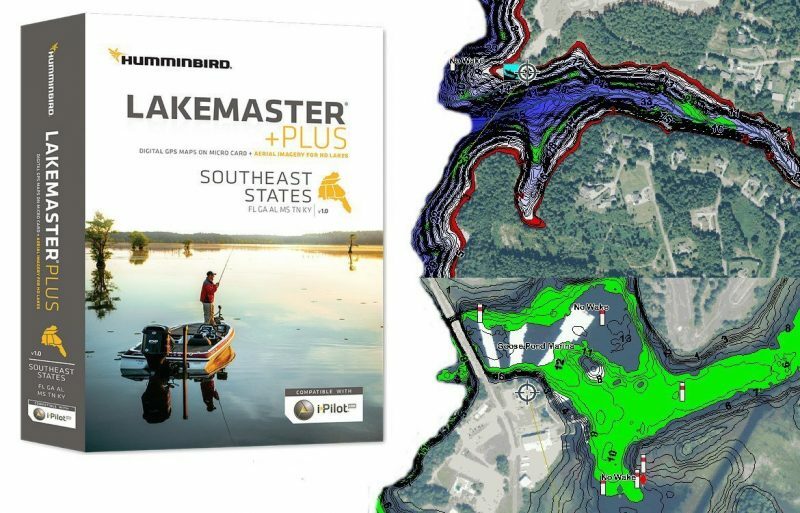 Since joining up with Humminbird, however, Lakemaster has continually added new regions and new features to their mapping cards to enhance the mapping experience exclusive to Humminbird fish finders. 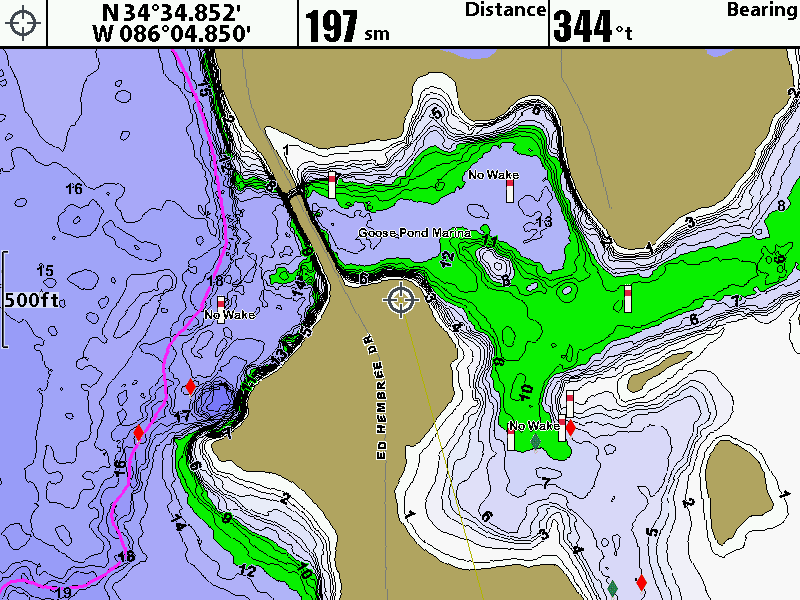 Lakemaster has introduced a new series of map cards called Lakemaster PLUS. 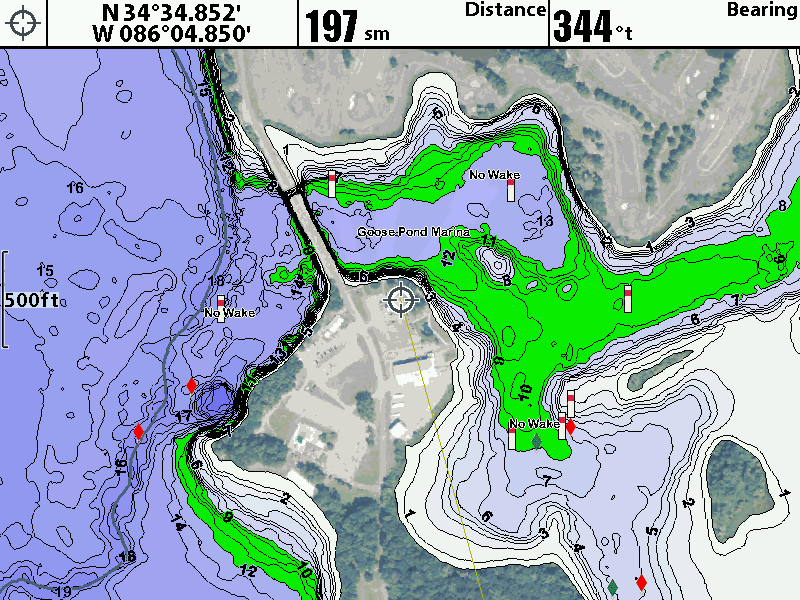 The new cards have all the same lake map contours as the standard cards, as well as the exclusive Shallow Water Highlight, Depth Highlight, and Water Level Offset settings. 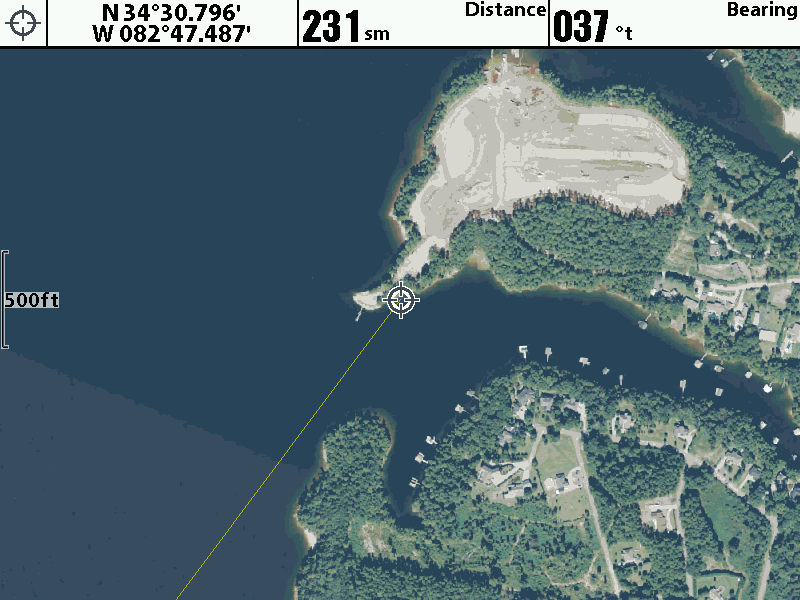 The Plus cards feature all the same lake maps as the regular cards, with the new addition of aerial satellite imagery overlays. Satellite – Only: Turning this layer on will show aerial imagery without contour lines. 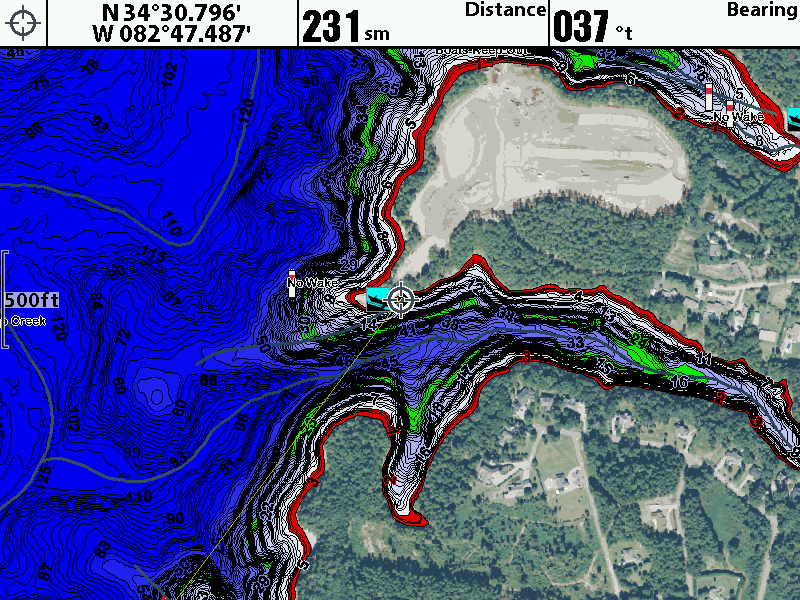 Satellite – Land: Turning this layer on will show the lake contour map overlaying the aerial imagery. Satellite + Contours: This layer overlays a transparent contours map over the top of the aerial images. How can this benefit you as an angler? Saves you time looking for docks to fish without bringing computer printouts or having to use your phone. You can see underwater reefs, and emergent vegetation that doesn’t show up on a regular map. Locate drainage and discharge runoff pipes. You can even see where old road beds could potentially be located. 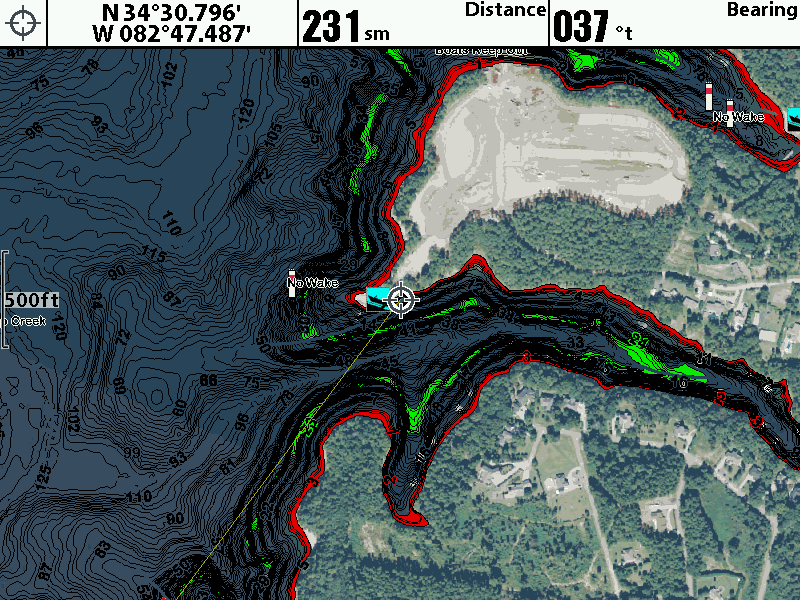 You can see steep bluffs and shallow rock areas that are absent on the regular map. Basically, the aerial imagery gives you a fuller picture of what your lake looks like, and that info can help you catch fish. 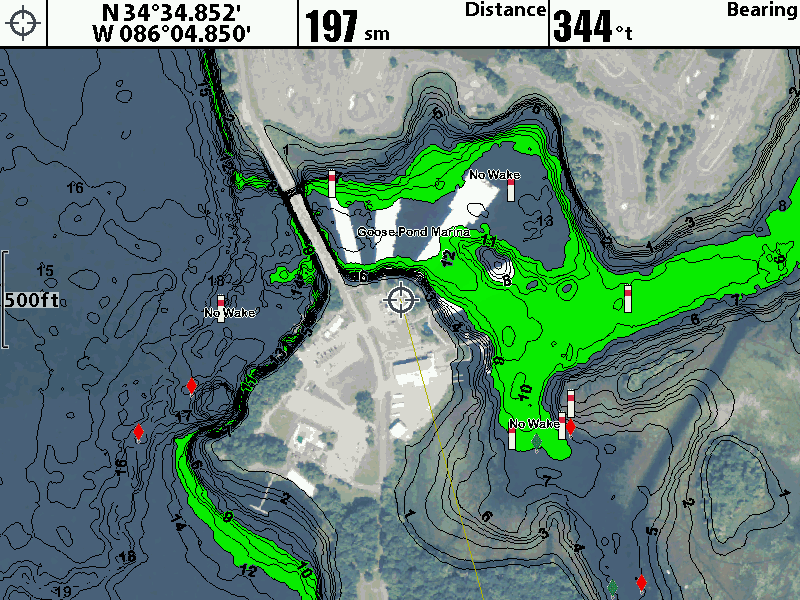 First, let’s look at the 2015 Bassmaster Classic launch area on Lake Hartwell. Hartwell is an very deep and clear body of water. By cycling through the different layers, you will begin to see how many docks near deep water there are in the nearest cut. Having this info on the water could be very valuable if you get onto a good dock bite. The second example is near Goose Pond on Lake Guntersville. Goose Pond Marina is a popular site for holding bass tournaments, and is a notorious big fish producing area, especially in the spring. 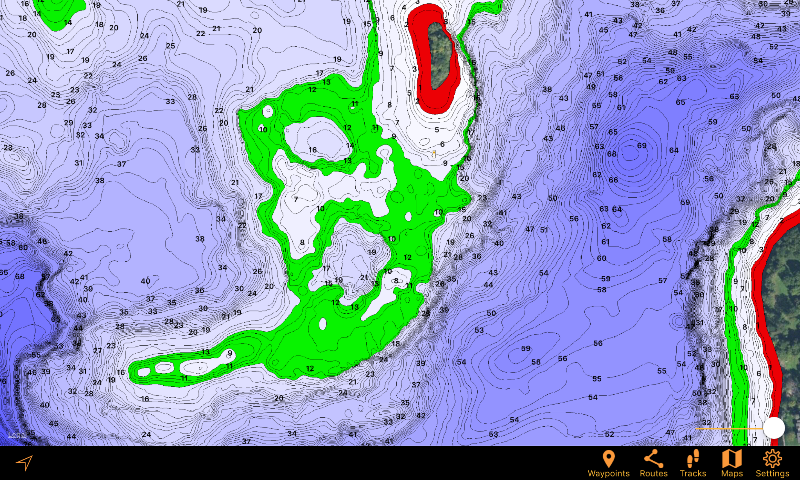 When you only look at the normal lake contour map, you don’t see much of what is actually in the area. 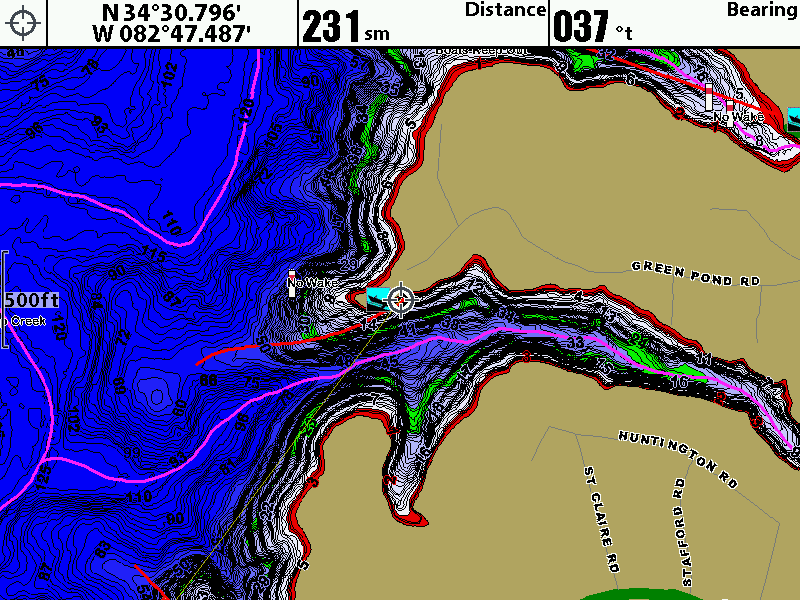 With the standard map, Goose Pond looks like any other shallow bay on Guntersville. When you turn on the aerial imagery, you get a fuller picture of the area. All of a sudden you see how the Goose Pond Marina dominates much of the entrance into Goose Pond, as well as all the grass and emergent vegetation there is further into the bay. 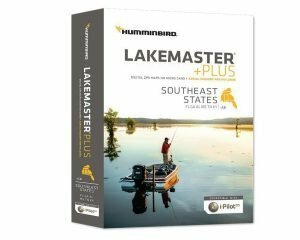 In general, if you have a 6xx, 7xx, 8xx, 9xx, 11xx, or ONIX series fish finder, you will be compatible with the Lakemaster and Lakemaster PLUS mapping cards. You may need to update to the latest software in order to utilize the aerial imagery layers. All Helix and Helix G2 fish finders are compatible, and the mapping cards come with the Micro SD in an SD card holder, so no matter what size unit you have the cards will work. The aerial imagery is included on all HD lakes. Each region has a growing number of HD mapped lakes. To find out the exact list of lakes for your region, click here.